The Jericho Brass performs about one to two concerts per month from September through July each year. 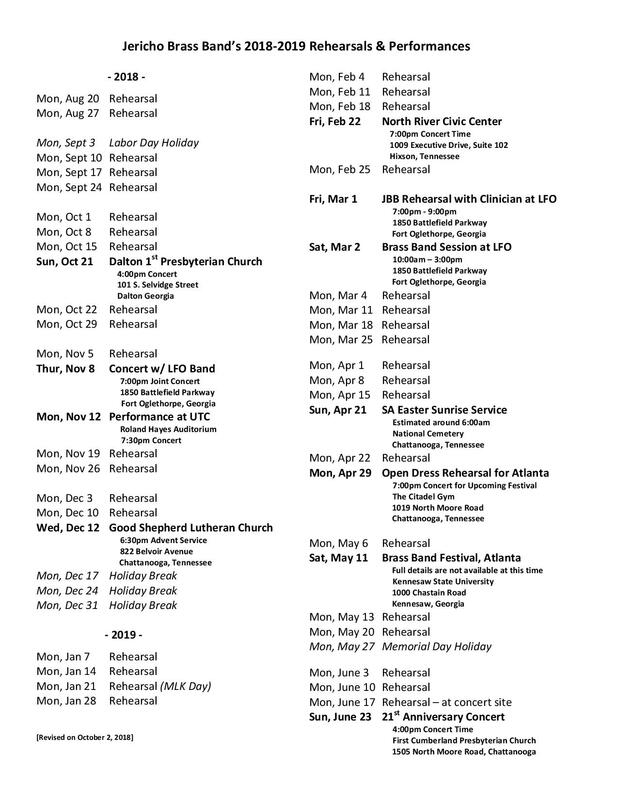 Below is the calendar for our 2018-19 season. Unless otherwise noted, all concerts are free and all are invited. If you are interested in having the Jericho Brass (or Brassworks) perform for your function or church, please contact the Director, Frank Hale.